With strong iwi involvement, the Government has announced a $36 million action plan to enhance economic development in Tai Poutini. Lisa Tumahai, Kaiwhakahaere of Te Rūnanga o Ngāi Tahu, says the new funding is a great boost for the region. “We have worked side-by-side with the government to create this action plan and it is great to see iwi at the heart of the plan,” says Lisa. “The plan sets out Ngāi Tahu as key partners and we look forward to working with other agencies to enhance the Tai Poutini economy,” she says. Minister for Economic Development, Simon Bridges, says “the Government is committed to supporting the West Coast economy to grow and become more resilient. That’s why we’re partnering with the region through this Action Plan to invest up to $36.8 million in areas like tourism, ICT and primary industries,” he says. Part of the package includes $11 million for a new Regional Research Institute that will use innovative research and manufacturing techniques to unlock the potential of New Zealand’s minerals resources. Lisa Tumahai says the new research institute will provide an excellent avenue for the West Coast to develop new and innovative ways to use its natural resources. Other aspects of the plan include: $90,000 for the development of the Oparara Arche, $850,000 for the extension of the Hokitika Gorge walking track, $1.8 million to future proof Punakaiki visitor and heritage infrastructure, $225,000 to investigate future proofing Franz Josef infrastructure against flooding and earthquakes, $40,000 toward a feasibility study for the upgrade of Croesus Road near Blackball, $50,000 toward a feasibility study for a Kawatiri (Charleston to Westport) Coastal Walking and Cycling Trail and the Tai Poutini Māori Tourism Strategy and Action Plan – with $70,000 funding from Te Puni Kōkiri. Minister for Māori Development, Te Ururoa Flavell says the $70,000 tourism investment will help guide iwi investment in the region. 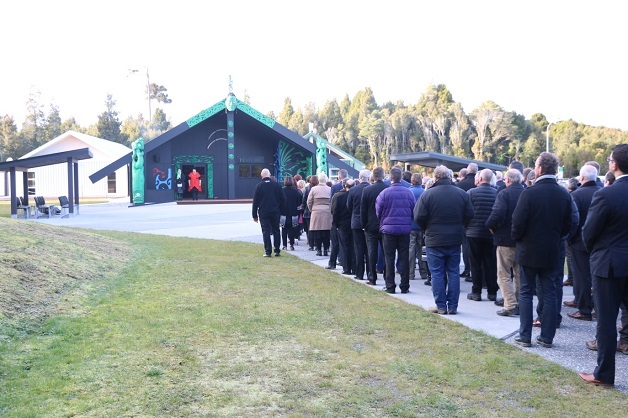 The work on the Māori Tourism Strategy and Action Plan is being undertaken with Te Rūnanga o Makaawhio, Te Rūnanga o Ngāti Waewae, Māwhera Incorporation, Ngāi Tahu Tourism and local Māori tourism operators to ensure that Tai Poutini tourism experiences have a strong Māori component and share the rich local stories. 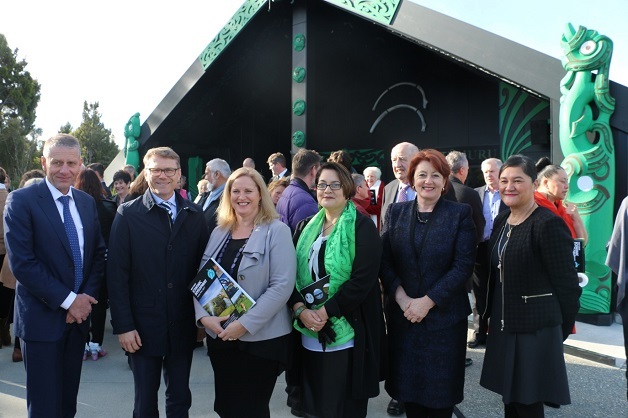 At the launch Lisa Tumahai reiterated the important role Ngāi Tahu plan on the West Coast economy, siting the capital and tourism investments Ngāi Tahu have in the region.